Yeadon Sailing Club has a long tradition of providing excellent racing, training and social sailing opportunities to all members of the community from the Yorkshire Region. Our ability to continue offering these opportunities is at risk, our club house is beyond repair and desperately in need of replacement. 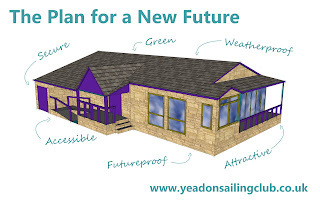 Our vision is to raise enough funds to build a modest but modern and accessible facility to inspire current and future generations of aspiring sailors from the local community, upholding a tradition of grassroots sailing established since 1928 in the heart of Yeadon. By doing this we will be able to continue to promote the benefits of sailing for mental and physical health and wellbeing across all generations providing enjoyment to sailors and their families, supporters and spectators alike. Help us lay the foundations for the future of sailing in Yorkshire. Thank you for all those members who came along to the first Funding Workshop a few weeks ago. We had an excellent time pulling together more ideals for funding. We also took the opportunity to firm up the plans we already had to start getting dates in the diary. 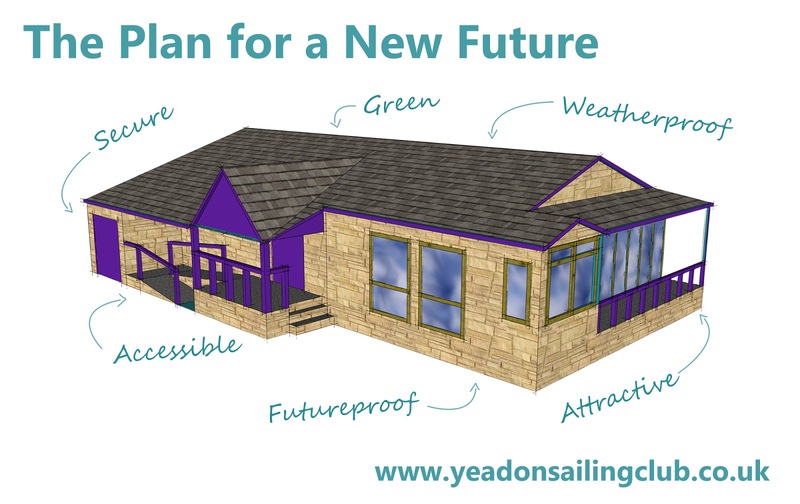 We have put together a small video to remind everyone what we have now and why we need to build a new club to strengthen the future of Yeadon Sailing Club. It's not just about a lick of paint, a ramp and a bit for felt for the roof, we have to go right back to the base and start again. The see the current funding ideas action list, please click here. Highlights include plans for Tony to sail for 24hours on the tarn, Marcus to run int he Yorkshire Warrior, a YSC cook book, Quizzes, Raffles and much, much more. But more is still needed. Without a new lease in place then we will not be able to secure big money funding. Therefore we are currently working with the council to update this. Andrew, Leonie and Howard are currently collecting information from the trustees for the legal documents which are in the process of being drawn up. Our first submission for planning was turned down on 3 points. Most of these have been resolved, but we have to undertake a Phase 1 Contamination Survey due to the clubs proximity to a landfill. This has been commissioned and John is working hard on getting this in order for the councils planning team. We are finalising our application for a Just Giving account so that all sponsorship can be collected in a single place. We have donation options available already on the website so please check these out, and DONATE! Chris Gaunt has been working with the marketing team to pull together banners to promote the project, Version 1 can be seen along side. We just want to say a big thank you to club treasurer Louise. Louise is putting a vast amount of work into this project at present, helping to handle the financial matters of the project and put up with the project managers random accounting requests. So please thank her the next time you see her.